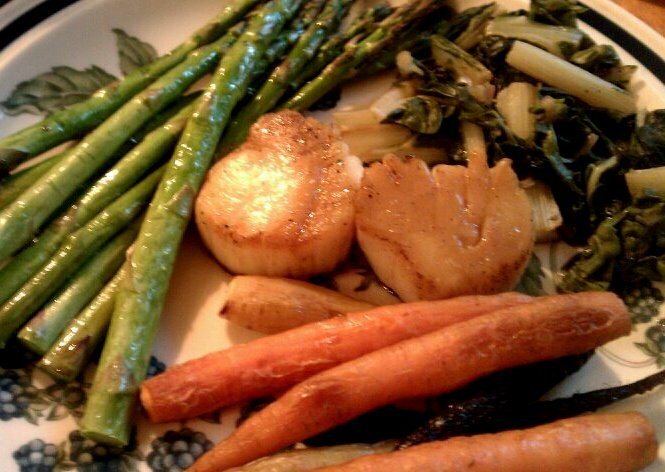 Sea scallops with roasted asparagus, roasted tri-colored carrots and steamed green chard. Fewer than 200 cals on that plate. 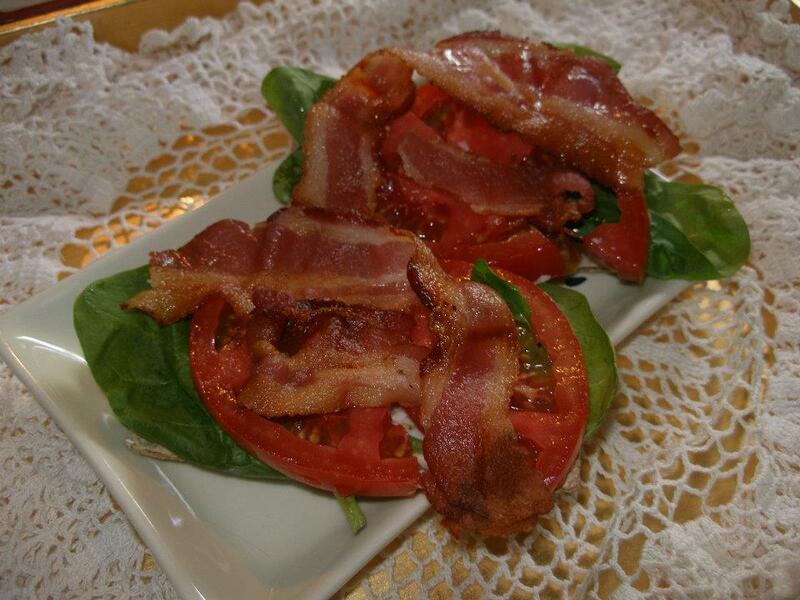 Laughing Cow garlic and herb cheese spread on Wasa crisp bread topped with raw spinach, tomatoes and bacon.